The league toppers Liverpool are set to play Rafa Benitez's Newcastle side as a part of the Boxing Day fixtures on Wednesday. 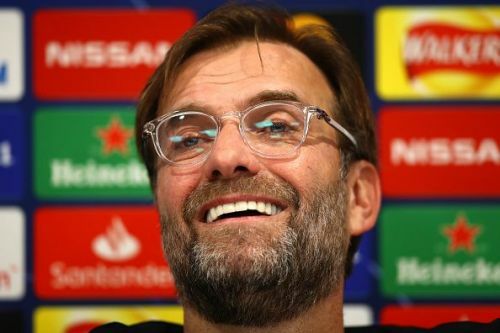 Jurgen Klopp's men have been flying high since the start of the season and are four points clear of Manchester City as the teams head into the Christmas period. On the other hand, Newcastle United find themselves five points away from the relegation zone as they approach a difficult set of fixtures which includes playing five of the top-six in the next seven games. Rafa Benitez is known for his defensive set-ups and it would be a no-brainer to play five at the back against a strong Liverpool side away from home. Kenedy has struggled while playing as a wing-back and Matt Ritchie could be played at that position. With Ki Sung-yueng leaving for international duty and Jonjo Shelvey facing fitness issues, Isaac Hayden could return to the starting eleven, partnering Mo Diame in the midfield. Both these players are defensive-minded and could drop deeper while defending to provide support. Newcastle players must be cautious while pressing for the ball up front and committing players forward since Liverpool could be ruthless with their counter-attacks. Newcastle's centre-backs are not particularly quick and hence any kind of high-pressing may leave a huge void at the back which would be punished by the Reds' front-three. Liverpool are one of the few top sides to be blessed with young world-class fullbacks who continue to impress. Their overlapping runs on the wings have to be marked well and the cutbacks need to be defended carefully. Newcastle United have struggled to defend set-pieces and could well be punished if they are not on top of their game tomorrow. 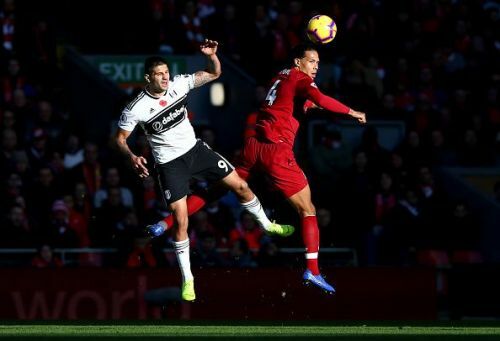 The aerial threat of van Dijk has been a big advantage for Liverpool this season and it will be a tough task for the Magpies to mark him and win aerial duels against the Dutchman. This defensive setup means that Newcastle would rarely find themselves in the opposing half and they have to ensure that when they get the odd chance, they convert. Salomon Rondon is the one who needs to be at the end of those rare attacking scenarios and it is important that he gets the supply without staying isolated throughout the game. But, Rondon will be up against one of the top defenders in the world - Virgil van Dijk and it is no doubt that this would be the sternest test for the Venezuelan striker this season. Ayoze Perez's finishing must be pin-point and he must not waste any of the chances he gets tomorrow. Newcastle's chance creation would rely largely on Kenedy who has recently struggled to find form following a brilliant previous season. The blistering pace of Yedlin down the right flank could prove to be effective and his link-up play with Kenedy might help in supplying crosses to Salomon Rondon inside the box. Newcastle go into the game with less pressure away from home and if they manage to implement these tactics to perfection, we could see yet another shocking upset in the Premier League this season.